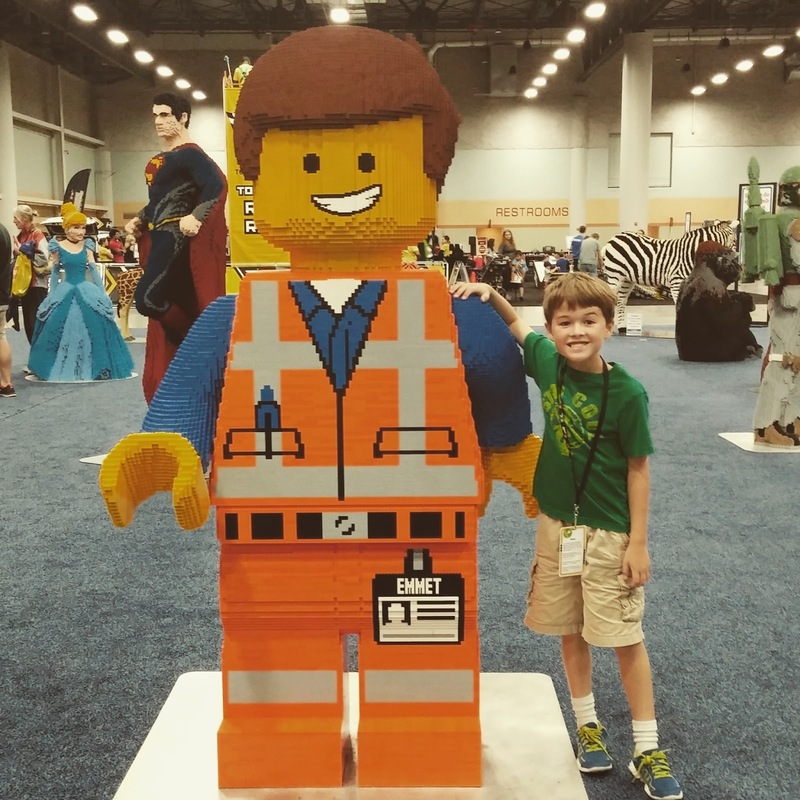 My family was able to attend the LEGO Creativity Tour powered by LEGO KidsFest this past September in Des Moines at the Iowa Events Center. We arrived on the opening Friday night session. The first thing we saw when we walked in was the LEGO model museum and we had to take lots of pictures. 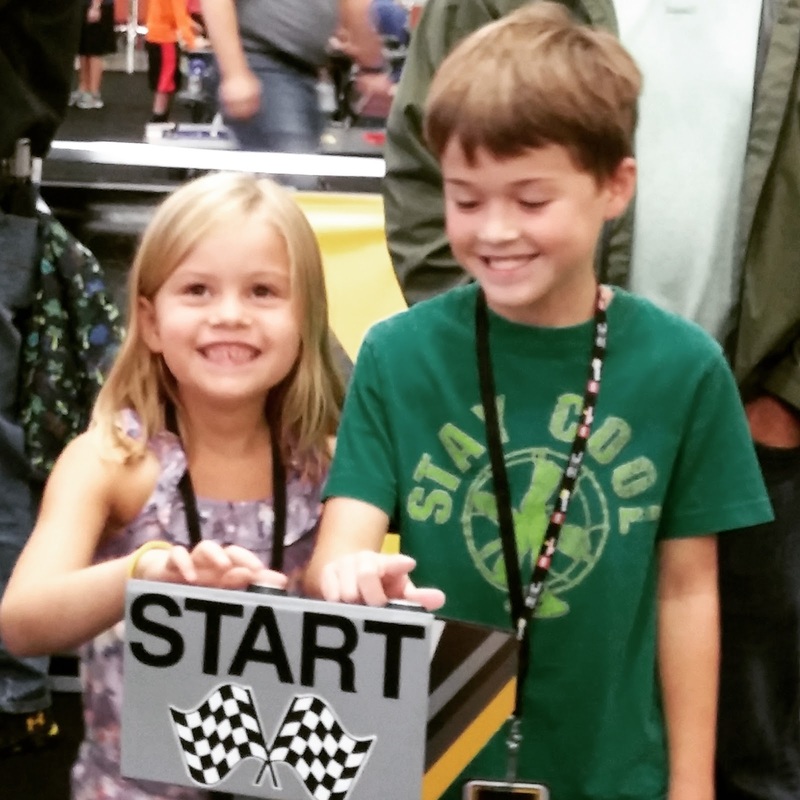 When I finally got them away from that the kids built a car for the Toyota race ramps and raced their cars against each other. After the race ramps we roamed for a while enjoying the different zones including my daughter's favorite LEGO Friends where we got to take our picture in the photo booth and the Super Heroes zone where they each got their picture taken with Spidey. The most fun we had all night was at the Brick Battle Zone. There were pizza making and races earlier in the night we had heard were lots of fun, but when we got there the kids were put into teams and challenged to build a bridge that could withstand whatever weight was placed on it. They had quite a bit of time to build a strong foundation of LEGOs. Then it was lots of fun seeing their bridges placed on pedestals and then weight put upon the bridge and seeing if it would all fall apart. It was amazing how strong some of them were and funny when all the LEGOs came crashing down. My kiddos had a great time at the LEGO Creativity Tour and it was a fun way to spend some family time together. I didn't really have any expectations of the event beforehand, but I was pleasantly surprised by it. Several of the zones and challenges offered a small package of LEGOs as a participation prize, the kids got cool lanyards from the Toyota race ramps and I adore the pictures my daughter and took in the photo booth together. I'd recommend attending an event in your area with any of your own LEGO fans.